Make sure you check all the sound settings of the PC or device, the headphones (if applicable) and the video/audio player on the website. 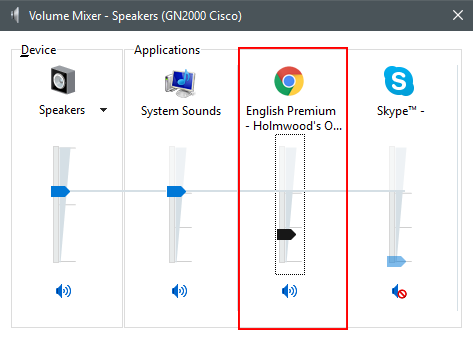 If you are using Windows, right-click on the speaker icon in the taskbar and open the Volume Mixer. Check if the volume for the Holmwood's browser tab is turned up.